This article was originally published January 21, 2019 in Insurance Thought Leadership. I love to celebrate the New Year. I’m energized by the opportunity to pause at the end of the year, reflect on my accomplishments over the past 365 days and think about what I hope to accomplish in the year ahead. My annual rumination centers on two questions: What have I done that is working for my clients and me? And what can I do differently to achieve better results personally and professionally? Turns out I’m not alone. I have found myself in many conversations with early-career insurance professionals who are pondering the same questions. I also have found that, for those new to our industry, coming up with useful answers to these questions is difficult. 1. Understand your strengths and set goals for the skills you wish to improve. When I started out in my career, I was intimidated often by what the people across the table knew. Could I answer their questions? Did I understand their questions? Could I make a meaningful contribution? What helped me advance was to understand that, while I might not have the technical knowledge of more senior colleagues, I could still offer a number of strengths that could differentiate me from others. I was good at asking the right questions, at reading people’s body language and the overall tone of the room and at capturing meeting takeaways and following up on them quickly. I soon realized that we all come to the table with strengths and with areas to improve. Even the most seasoned professionals can identify skills of theirs that they need to sharpen. For those new to the industry, begin building your professional brand based on the transferrable skills that set you apart. Set measurable goals for the personal and technical skills that you would like to enhance in 2019. Over the past several weeks, my team and I spent many hours evaluating the client relationships that we have built, maintained and grown throughout 2018. Who are our closest clients? Who should we spend more time with this year? Who should I help my colleagues build better relationships with? Now that I understand the landscape of our current client relationships more clearly, I can reflect upon how purposeful the relationships are to me and if the clients will be long-term partners. If I believe a relationship has the potential to grow, the real challenge is dedicating the time and attention to carry the relationship to the next step, while identifying the relationships that may be stagnant or not worth pursuing. 3. Be mindful and deliberate with your time. Time is a limited commodity, and every client does not deserve an equal share of it. If you are spending a lot of time fostering a relationship with a person or organization that is not reciprocating the effort or that has not turned into an actionable business partnership, it may be worth re-evaluating whether you could use this time better elsewhere. Even if you have mastered the art of client relations and all your relationships are in good standing, your work is not necessarily finished. If anything, this success is an opportune moment to reflect – again – and evaluate the approach you used to build these strong relationships, and potentially apply it to other relationships that may need more work. Leah Ohodnicki has more than 13 years of industry experience. She currently serves as SVP, U.S. head of marketing and producer management at Argo Group. Prior to joining Argo, she held a series of increasingly senior roles at Marsh, eventually becoming SVP, Central Zone marketing leader. 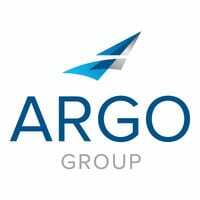 ArgoGlobal Asia has gathered insurance talent from all over the world. Our multinational team reveals how they are enjoying vibrant lifestyles and fascinating careers in two of Asia’s most exciting cities.